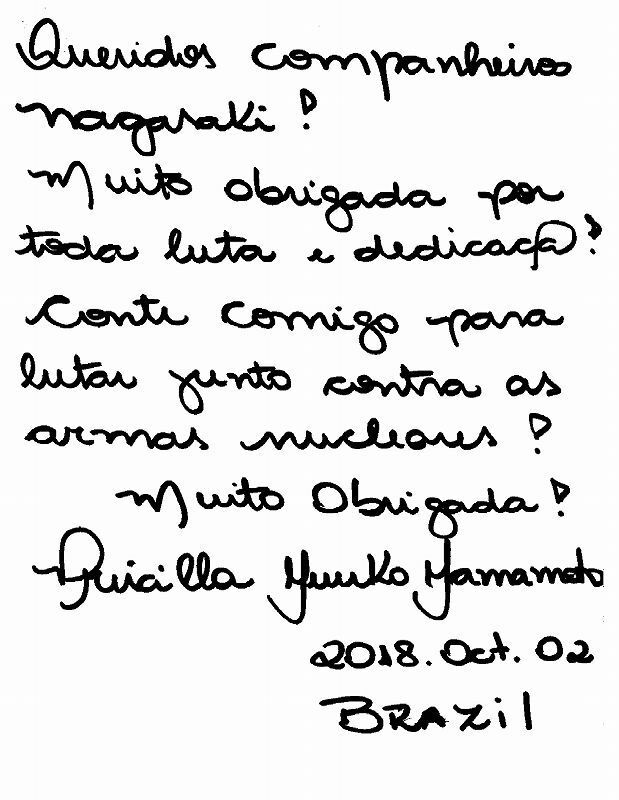 We are members from Brazil (BSGI) and we are writing this letter to thank the reception made to us this year. Thank you! 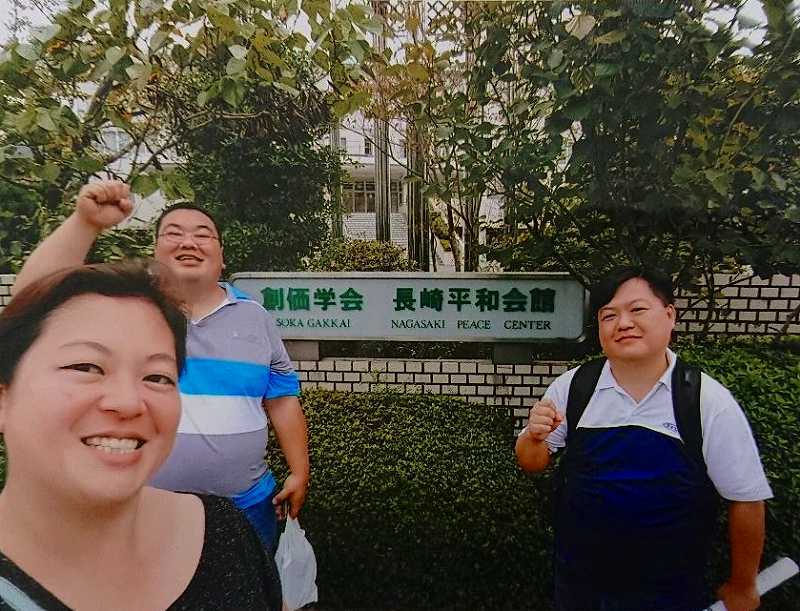 In last October, we visited Nagasaki. At that time, we were Renato (wearing a white and blue T-shirt), Priscilla and Jony (the tallest of the brothers). We would like to thank you for the warm welcome. We apologize for not speaking Japanese and thank you for the service in English. It was spectacular to see the city of Nagasaki and its recorded memories of the struggle for peace. We visited the Atomic Bomb Museum and Peace Park. 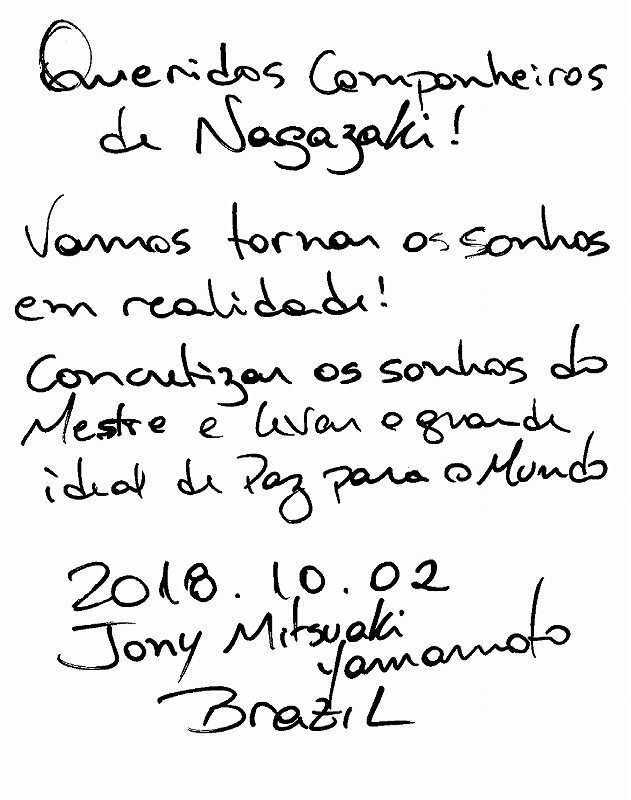 However, we could only understand the meaning of many thinks with the visit to the Soka Gakkai Nagasaki Peace Center. Thank you all. 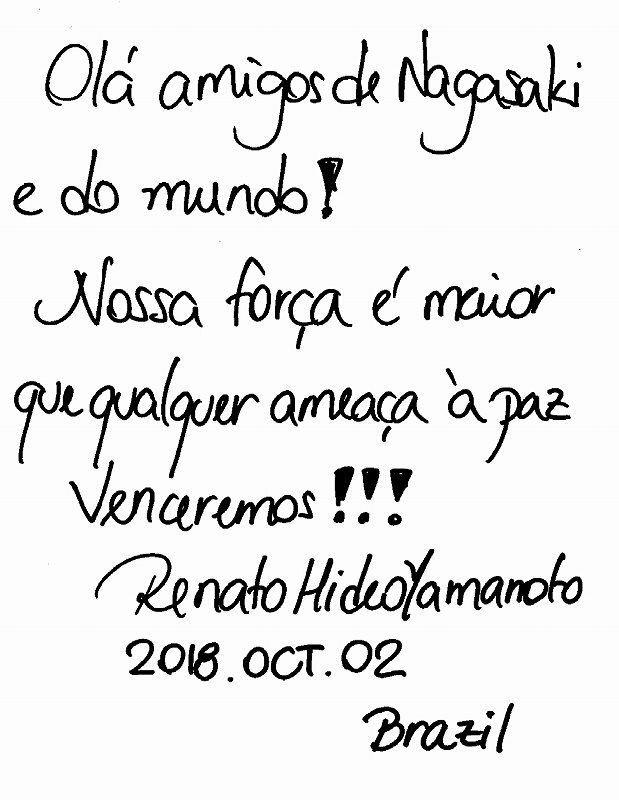 Here in Brazil, we are striving to fight every day for Kossen-Rufu. 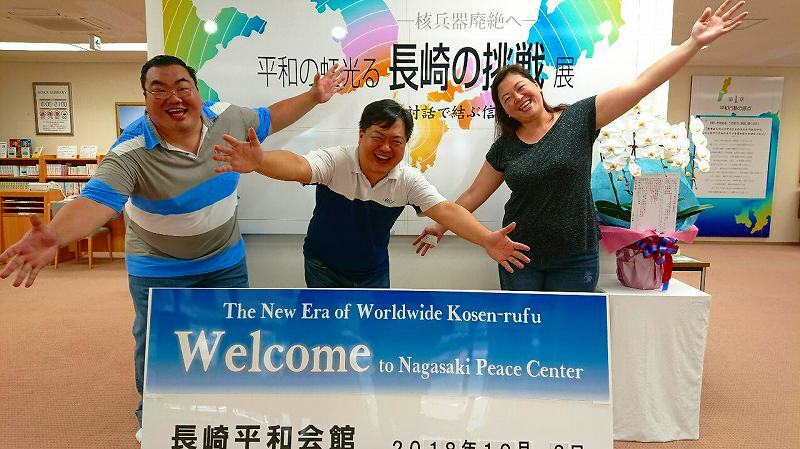 We share the history of Nagasaki with friends and we are telling friends that “Nagasaki and Soka Gakkai Nagasaki Peace Center are a must visit places in Japan”. We wish you all a happy new year, full of victories for all of us!